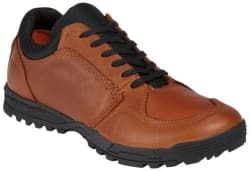 5.11 Tactical offers the 5.11 Tactical Men's Pursuit Lace-Up Shoes in several colors (Dark Brown pictured) for $54.49 with free shipping. That's the lowest price we could find by $25. They're available in select sizes from 4 to 14. 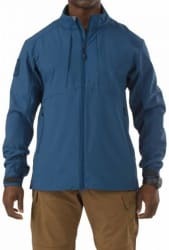 5.11 Tactical offers its 5.11 Tactical Men's Sierra Softshell Jacket in Regatta or Battle Brown for $47.49 with free shipping. That's the lowest price we could find by $73. It's available in sizes S and XL only. 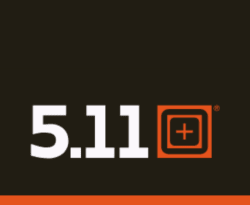 Ending today, 5.11 Tactical takes up to 50% off select styles during its Year End Sale. Shipping adds $7.95, but orders of $35 or more bag free shipping. Some exclusions apply. 5.11 Tactical offers its 5.11 Tactical XBT A6 Flashlight in Black for $34.49. Pad your order to over $35 to bag free shipping. That's the lowest price we could find by $31, although most stores charge $90 or more. It features a 10 hour runtime, 328 meter beam distance, momentary and steady-on modes, and aerospace grade aluminum. 5.11 Tactical takes 25% off sitewide during its Black Friday Sale. That's the second-best sitewide discount we've seen from this site. Shipping adds $7.95, but orders of $35 or more bag free shipping. Some exclusions apply. Deal ends November 25. 5.11 Tactical offers its 5.11 Tactical Men's Ridgeline Pants in Field Green for $24.99 with free shipping. That's the lowest price we could find by $37. They're available in select sizes from 28 to 44 and select lengths from 32 to 36. 5.11 Tactical takes up to 60% off a selection of men's and women's apparel during its End of Summer Sale. (Prices are as marked.) Plus, all orders receive free shipping. Some exclusions may apply. Deal ends August 31.